How much is Earl Watson Worth? 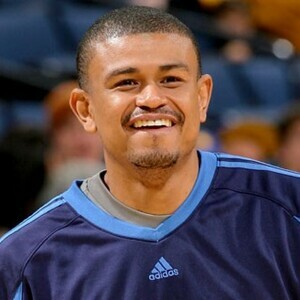 Earl Watson Net Worth: Earl Watson is an American former professional basketball player who has a net worth of $16 million. Earl Watson was born in Kanas City, Kansas in June 1979. He played basketball at Washington High School and then went on to UCLA where he and Baron Davis were the first two freshmen to start at UCLA since 1979. Watson started the most consecutive games in UCLA basketball history. In his senior year he was named All-Pac-10 First Team. He was drafted #39 by the Seattle SuperSonics in the 2001 NBA Draft. He played for Seattle from 2001 to 2002 and then for the Memphis Grizzlies from 2002 to 2005. Watson played for the Denver Nuggets from 2005 to 2006 and then went back to the Seattle SuperSonics / Oklahoma City Thunder from 2006 to 2009. He played for the Indiana Pacers from 2009 to 2010 and the Utah Jazz from 2010 to 2013 before finishing his career with the Portland Trail Blazers from 2013 to 2014. In 2014 Watson became an assistant coach with the Austin Spurs of the NBA Developmental League. Earl founded the organization Emagine in Kansas City.